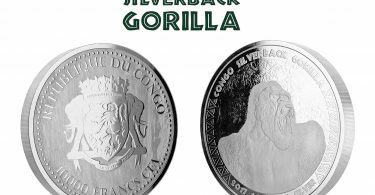 After only three years, the “Silverback Gorilla” has already become one of the most popular “agency emressions” in the field of silver bullion coins. 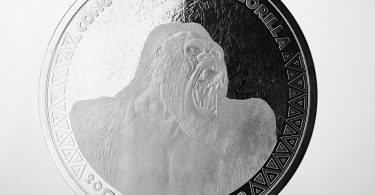 The “Scottsdale Mint” has received a lot of praise for its design of the gorilla especially in 2017 – and soon Gorilla friends will get even more of their money’s worth. 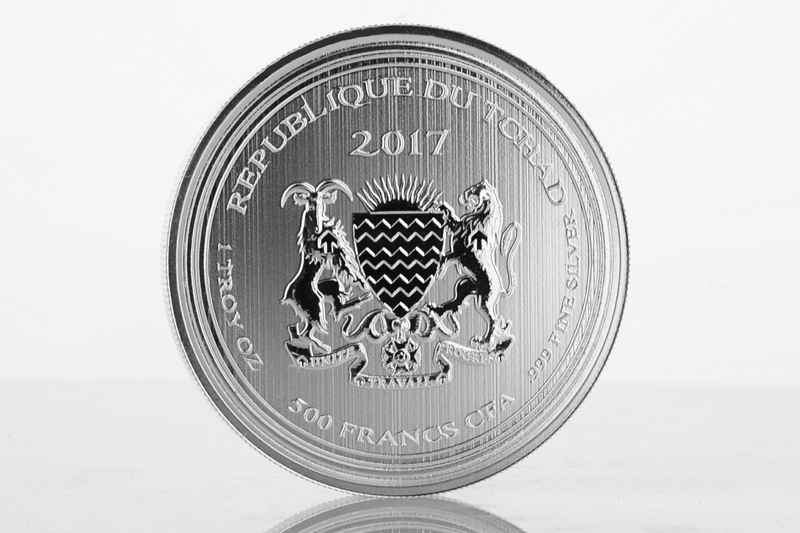 The private Scottsdale Mint from the US-american state of Arizona is now introducing the 2017 design as an extra- version with the weight of one kilogram. 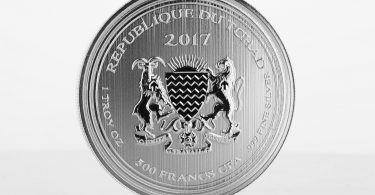 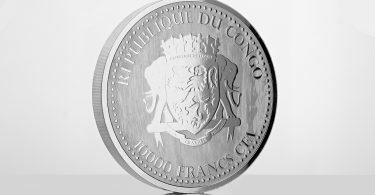 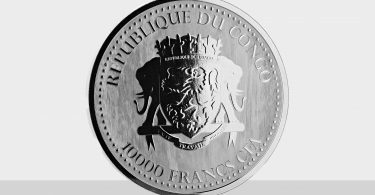 The coin is minted under the coat of arms of the Republic of the Congo. 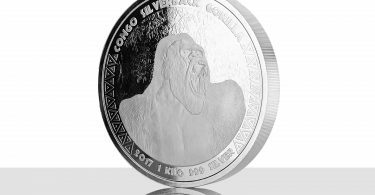 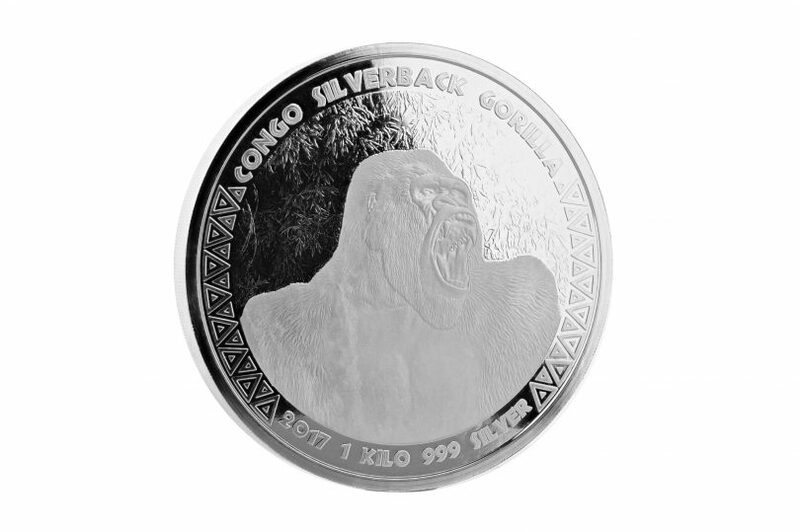 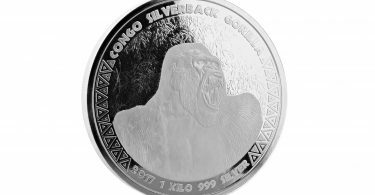 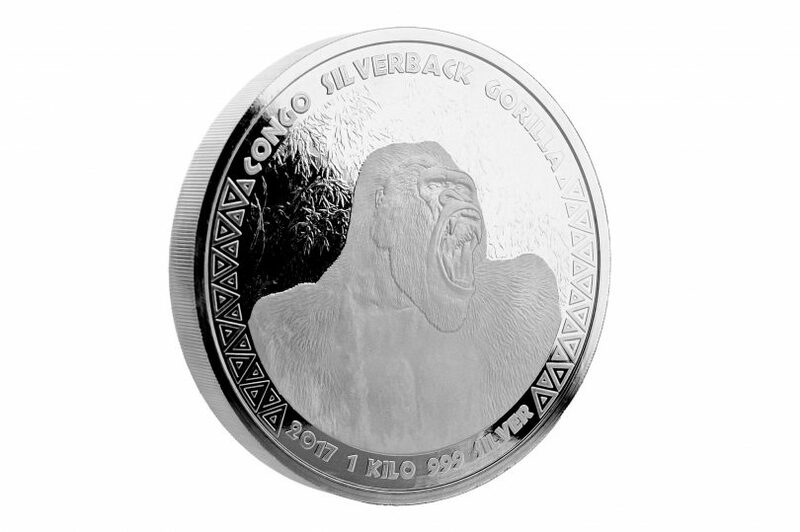 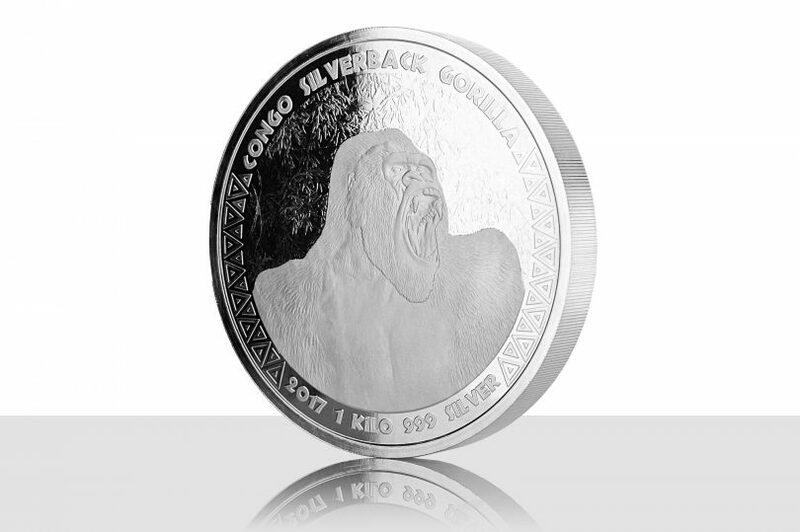 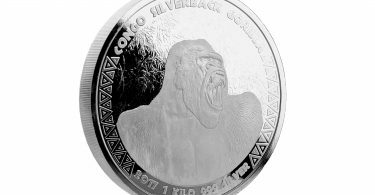 In 2015, 2016 and 2017 there were one-ounce standard versions of the “silver back gorilla”. 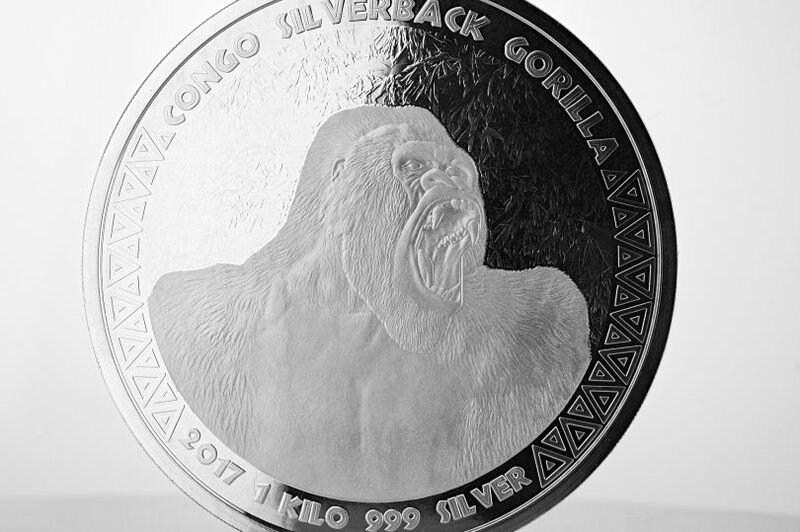 The circulation of the one kilo coin is only 5,000 coins – and apparently further kilo coins with the gorilla are planned for the coming years. 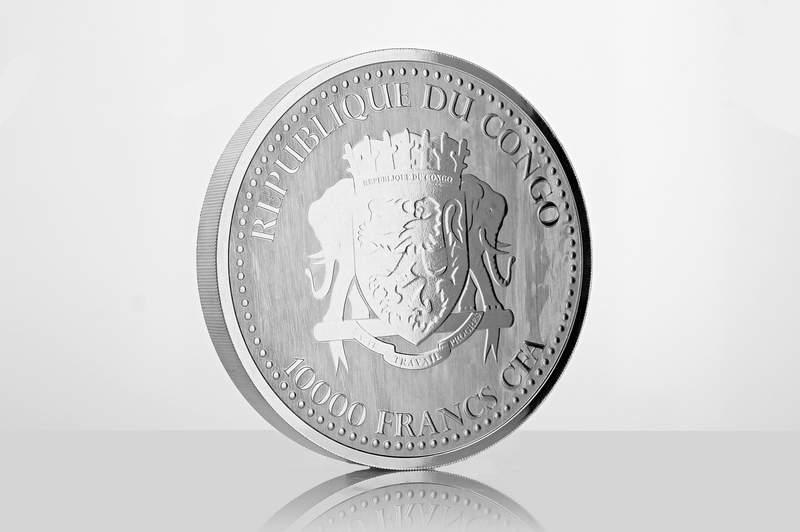 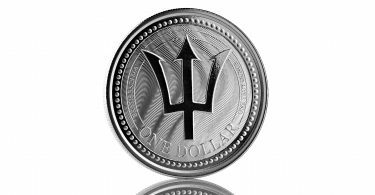 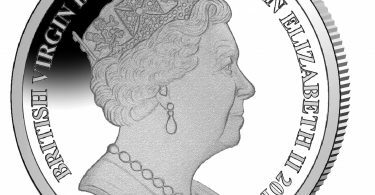 The coins made from fine silver are delivered in a plastic capsule. 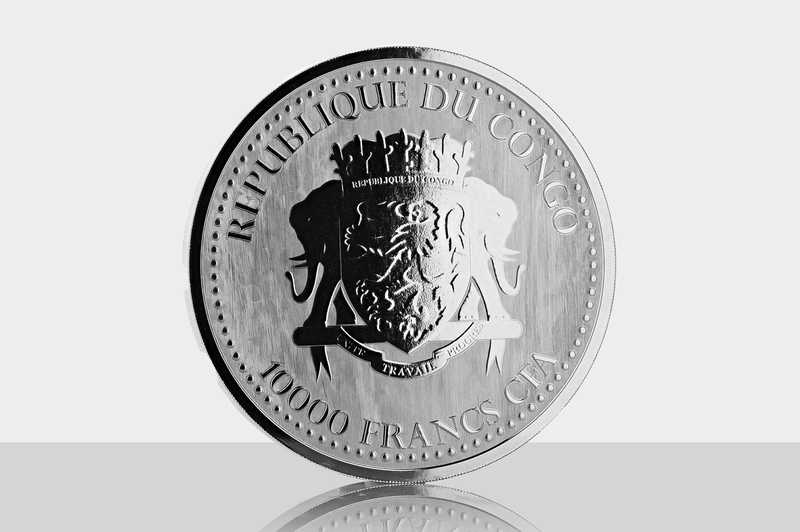 The nominal value is 10,000 francs CFA, the edge is reeded. 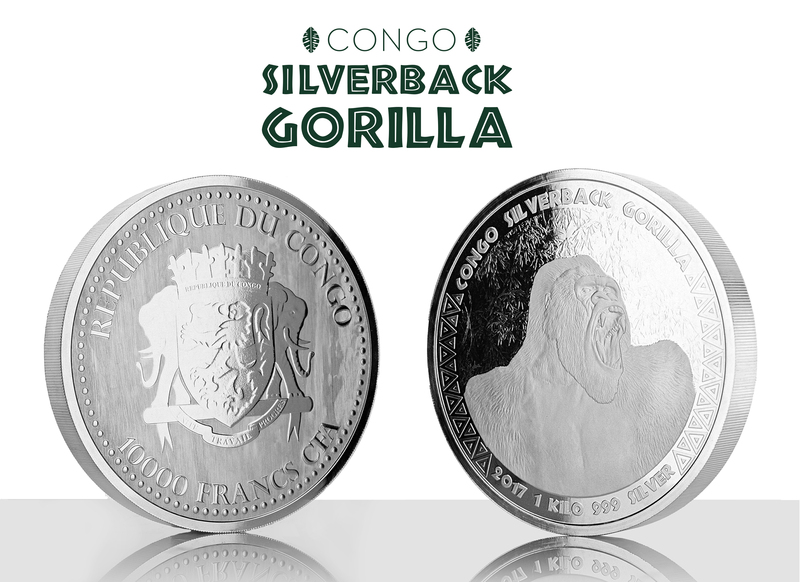 The silverback gorillas get their name by the striking coloring of their back part, which also serves as a recognition mark. 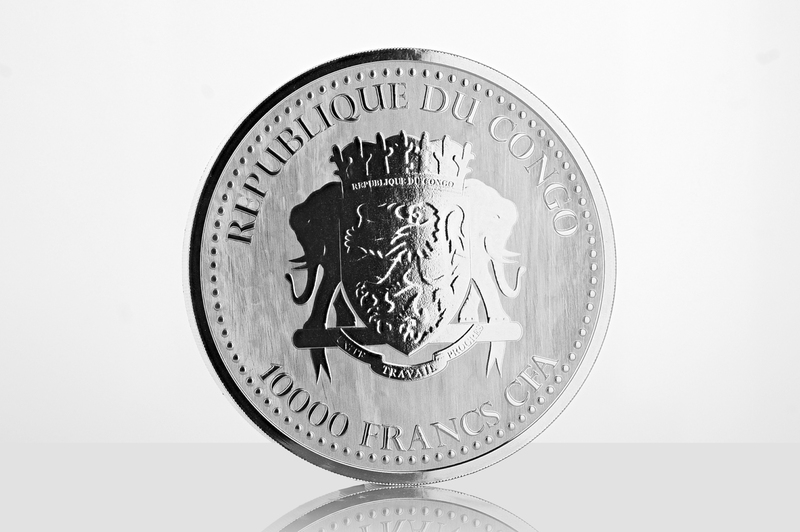 The coin is available at German dealer “Kettner Edelmetalle” erhältlic.